Address: 655017, Republic Khakassia, Abacan, box 189, Vyatkina st., 4"a"
By the governmental order of Russian Federation from September 4, 1999, №1004 Zapovednik Chasy and Zapovednik Malу Abakan were transformed into Zapovednik Khakassky. The area of Zapovednik 125,1 ha. 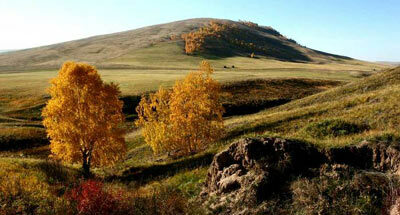 Zapovednik Maly Abakan, to the south of the Republic of Khakaasia, was founded in 1993. Its area is 97,3 thousand ha. It is located on the northern side of the Western Sayan Mountains in the basins of the rivers Malу Abakan and Bolshoy Abakan. The relief is middle-mountain, with absolute heights from 400 m to 1700 m above sea level, while on the south of the Zapovednik the relief is high-mountain alpine with glaciers and a maximum height of 2394 m above the sea level. The forest-covered area totals 73,2 thousand ha; meadows occupy 369 ha; and wetlands 784 ha. 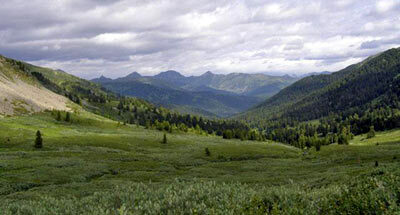 Mountain-taiga cedar forests prevail (75% of the forested area) with some fir (4,2%), spruce (0,1%), and birch (1,4%). Higher than 1700 m these change into open cedar woods; along the river valleys and around high-mountain lakes fragmentary alpestrine meadows with various species of grass are met. Higher than 1800 m there are alpine meadows. Among the animal species of the Zapovednik 46 mammal species, 149 bird species, including 142 nesting species, 2 amphibian species, 3 reptile species are noted. A high number of sable are present, and there are Brown bear, common weasel, least weasel, Siberian weasel, skunk bear, badger, wolf, lynx, musk deer, roe, maral, elk, and wild boar. Of rare and disappearing bird species, there are met black stork, erne, golden eagle, saker falcon, and Eastern solitary snipe. In the rivers grayling are numerous; lenok, taimen, and burbot are more rare. Zapovednik Chasy, in the Republic of Khakassiya, was founded in 1951. Its area is 24,7 thousand ha. 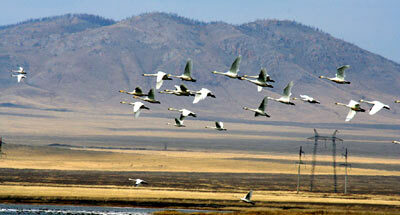 It consists of several parts, located in the basin of the river Abakan, a tributary of the Yenisei. The relief is diverse with hills and humps, fore-mountains and mountains with intersecting mountain ravines and mineralized lakes. Steppe and forest-steppe landscapes are the main ones present in the Park. Steppe and meadows occupy more than one half of the Zapovednik’s whole territory. Meadow and stony steppes are the most common. Local communities of desertified steppes are met. Significant areas are occupied by salt-marsh plants. Bush thickets of Cotoneaster, Spiraea and brier are characteristic. Moods (14% of the total area) are formed from larch and birch. There are sedge marshes. Flora includes steppe, desert and wood species; there are many rare species (yellow lady's slipper and Cypripedium macranthon, etc.). In the mammal fauna long tailed Siberian souslik, European hare, Siberian roe and wolf are common; elk appear sometimes. Of bird species beard (Daurian) partridges and Coturnix coturnix are numerous; black grouse is more rare. Along the banks of rivers and lakes duck and coot live. Of rare birds there nest imperial eagle, saker falcon, and peregrine falcon.